Items your Moving Company may not move so don't assume. Choosing a good mover is a critical factor in ensuring that your move goes smoothly. A professional company will obtain as much information possible from you to compile an accurate quote. They will also provide you with guidance and answer any questions you may have. Once you choose your preferred mover, it's important to clarify what your responsibilities are versus what your moving company will take care of for you. An experienced company is aware of the assumptions people make about what movers do and don't move. They will inform you of the facts in advance so there are no nasty surprises on moving day. Lawn mowers and snow blowers will only be transported if the gas has been drained ahead of time. Other items that are flammable and combustible like paint and aerosol cans may be transported by clients but it’s preferable to dispose of them before the move. Many people don’t realize that fertilizer contains potentially explosive chemicals and should be handled with care. The rule of thumb is anything that can’t be placed in your regular garbage should be dropped off at your local hazardous waste facility. Live plants are delicate and can be jolted around or ruined by temperature extremes in the truck. It’s preferable to move them in a climate controlled environment like a car. Many movers refuse to handle them at all. All Jersey Moving & Storage will transport them on local moves only and require the pot or planter to be packed properly. Some states have strict rules about conveying plants or even fruit across borders as they can host bugs or diseases which can be transferred to plants at your destination. Bleach and cooking oil are essentials in most kitchens so it’s easy to forget they can be hazardous and should not be packed. Clear out your fridge, freezer and pantry too. Movers prefer not to transport perishables or items that can leak or cause an insect infestation. The movement of alcohol is also subject to strict laws plus movers are reluctant to transport it due to its flammability. Heavy exercise equipment, swing sets and cribs must be dismantled before the move. A professional moving company like All Jersey Moving & Storage can recommend a third party to disassemble these items for you. Don’t worry about your piano, however. All Jersey Moving and Storage has the expertise needed to pack and move this heavy but delicate item safely and without damaging walls or stairs. In fact, we’re recommended by many piano tuners and refinishers in New Jersey and beyond. Our trucks have all the necessary equipment and belts, something you won’t find in a “man with a van” operation. Additional helpful tips on this topic can be found on our website. When obtaining quotes, it may be tempting to go with the company that promises you they can move it all – and for what seems like a reasonable price. If you think of the disasters that may result from inexperienced movers handling many of the items above, you’ll realize that expert knowledge, recommendations and referrals, and many years in the business are what you should be seeking. 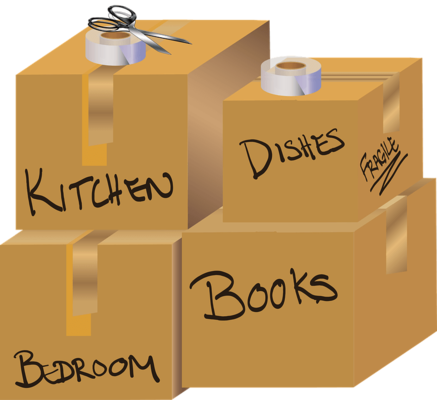 All Jersey Movers & Storage provides hassle-free moving services at surprisingly affordable rates. Contact us today for a detailed estimate.